The National Director (ND) is responsible for the overall leadership in the development and execution of the country strategy. The ND is accountable to lead, direct, develop and manage Habitat for Humanity (HFH) resources ensuring quality, effectiveness and accountability in line with HFH International policies, protocols and standards. 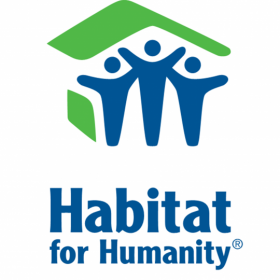 This role is responsible for developing the capacity of the National Organization to fulfill the purposes of Habitat for Humanity Uganda (HFHU). The National Director models servant leadership to the National Organization staff, its volunteers and partners. Lead the Country Strategy and Business Planning process in coordination with EMEA Area Office, the board of directors and relevant stakeholders. Ensure the implementation of the annual and long-term business plan, supporting the team to achieve results and monitoring deviations to take actions and corrective measures whenever appropriate. Keep abreast with and contribute to HFH’s global initiatives and trends. Provide thought leadership internally in HFHU. Represent HFHU and maintain effective relations with all stakeholders, including government officials, donors and sponsors, partners, homeowners, and the public at large. Oversee the development of the programs and project improvement plans, to ensure effective and timely implementation of the projects and programs. Identify and pursue opportunities for funding and access to different resources to ensure the financial sustainability of the country programme. Manage and develop HFHU’s Institutional funding strategy including significantly increasing income from new sources as well as lead on proposal development initiatives by involving the necessary technical staff in the process as required. Provide leadership and guidance to the HFHU senior management team. Ensure that staff members are given opportunities for development and training and provide support to the capacity building plans for programme positions. Ensure an efficient and relevant staffing structure and lead structural change processes when necessary. Build a high-performance culture in HFHU. Oversee processes to recruit, develop, manage, and evaluate personnel to promote the purposes and achieve the goals of the organisation including staff, advisors, and volunteers. Guide the development and deployment of equitable human resource systems, policies and procedures to invest in and retain people of quality and diversity. Ensure that all HR processes and policies are in line with Uganda labour law requirements, HFHI guidance, and cultural norms. Special attention is to be given to developing future leaders within the organisation. Directly recruit, develop and manage the SLT, ensuring that performance evaluations are conducted in a timely manner and HR issues are dealt with as they arise. Ensure organizational stability and sustainability by contributing to shaping a skilled, committed, and balanced board of directors or other governing body, marked by integrity and upholding the Habitat mission. Assist in recruiting qualified members, participate in meetings as an ex officio member, collaborate in policy development, ensure resolutions are implemented, and serve as liaison between the Board of Directors and HFHU’s staff and partners. In consultation with the Board, ensure the fiscal, legal and programmatic integrity, efficiency, and effectiveness of HFHU, including oversight of fiscal planning and budgeting, internal controls and external audits. Oversee preparation of the annual budget and operational plans. Provide information and justifications for Board of Directors in its budgetary review and approval process, whilst also gaining HFHI-EMEA endorsement. Ensure accurate and timely fiscal and narrative reporting to the Board, Area Office and donors. Ensure the development, implementation and ongoing review of policies and procedures to safeguard the assets of the organisation. Ensure program stability and the security of capital by securing governmental registration and approval and/or negotiating binding partnership agreements. Ensure the development of resources adequate to achieve short- and long-term strategic plans. Oversee the planning, implementation, and evaluation of annual resource development efforts. Suitable candidates will hold a University Degree in a relevant field, such as international development or relations, public administration, management, civil engineering, and/or social sciences. Ten or more years of successful international experience including five or more years effective senior management experience. Understanding of housing issues in Uganda, particularly in relation to health & development. Technical knowledge in specific housing sectors an asset. Capacity building experience including training and skills development. Demonstrated success in securing major grants and managing donor/partner relations in particular, institutional donors. Demonstrated knowledge in risk and financial management and fulfilling the oversight role of ensuring compliance with organizational policies, grants and key donor requirements. Excellent English language skills (written, reading and spoken). Demonstrated analytic capacity and writing ability at a superior level. Experience in programme evaluation at both outcome and impact level. Ability to implement vision, think strategically and solve problems creatively, exercise good judgement, champion positive change, prioritize workload and worth with minimal supervision. Computer literate, with strong knowledge of MS Office applications, spread sheets, database programs, and statistical software packages. The candidate should be mature, with stable personality, an ability to maintain high levels of confidentiality and should align with the core Christian ethos of the organization.